Sshhhh….What the Pro-Photographer sees, but can never reveal. Wedding Photography Matters...So what is your style? As I sit in front of my computer looking at the usual mass of images on the huge screen, it occurs to me that I have a very different view of the world. I say ‘different’ purely because I see things in far, far greater detail than most people will ever witness!!! The fine detail captured by my Nikon professional cameras is simply staggering (and a little frightening in its ability to show EVERYTHING !). There is a large percentage of us girls (and boys), including me, that have bits of ourselves that, well let’s say we wished were rather “not there”. During your wedding planning you are bombarded with the perfect image of brides in bridal magazines, online blogs and wedding shows...the pressure to look awesome can be overwhelming! I have never come across a single bride that says to me “Don’t worry about editing out that pre-wedding stress spot” (which chose to occur at just the wrong time); or “Please leave in that small annoying bit of back fat that is always going to overhang my dress in certain poses” (which is perfectly natural). The rule as an accomplished photographic editor (or ‘wedditor’ in this case) is ‘Make it Natural...Make it Awesome’. In the same way that your florist removes the thorns from your roses, your photographer should edit your images to ensure that the very best version of you appears in your album. We are talking about the fairytale, Disney, a big budget romantic movie, the perfect day! This is not a normal occurrence (hopefully). You are a princess for the day, all eyes on you...not to worry, cue Tina Downham Master Photographer & Surgical Editor…ta da!!!! Fast forward a few weeks...post-honeymoon bliss; wedding album designed, not a blemish in sight, not an ounce of back fat visible to the naked eye (even your evil cousin, who you only invited to the wedding because you had to, can’t find fault in this set of images), and you are turning the pages of your newly printed, leather-bound, Italian lay-flat album, ahhing and gasping as you recount your perfect day…. Lasting memories frozen for eternity of you looking the most amazing you have ever looked. Or you can leave it to chance...hmmm? So what was Tina’s number again? The party is over....the happy couple wave goodbye to adoring guests....the venue staff begin the clear up....and the wedding photographer races home to download their days work! Photo-processing used to be a mystical art carried out in a 'dark room' with pungent chemicals, weird red lights, reels of film and a hanging line of drying prints. I remember the mild anxiety as the solution washed the surface of the photographic paper and an image sprang in to existence...did I 'get the shot'? In present day, just as then, there is great skill to be employed if the photographer wishes to extract the most from their camera work; none more so than when preparing images for a wedding client. The dark room has been replaced by a professional office space, the weird red lights by the glow from a trio of large monitors, and the only chemical now is the caffeine! The images below give an idea to prospective clients regarding what can be achieved. I would love to know which you prefer so please comment or contact me. So, I went to The National Wedding Show last weekend at the NEC in Birmingham to check out some accessories for an upcoming photo-shoot that I'm organizing… I just wanted to see what is ‘in' at the moment and what accessories brides love right now. 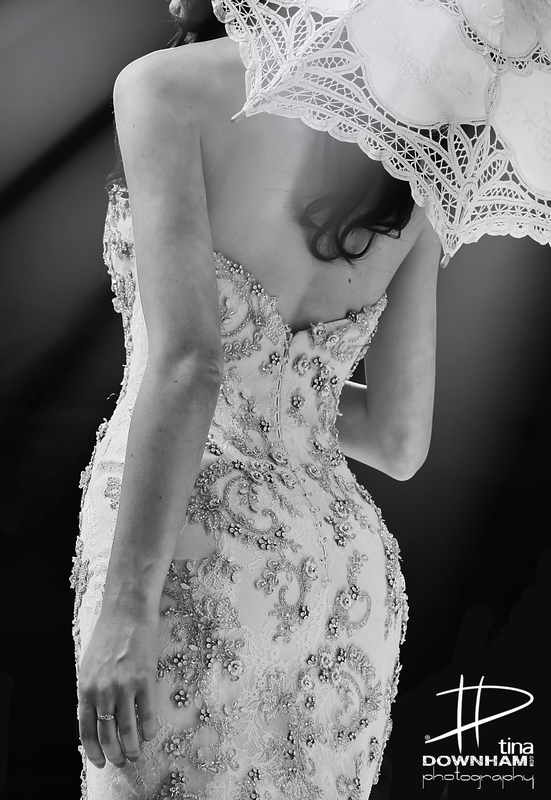 Well, it was wedding dresses, wedding dresses, and more wedding dresses! I have no idea how anyone is able to choose ‘the one'! Dresses seemed to dominate the entire show, from the venue entrance, to stalls and stands and all the way onto the catwalk. Queues of excited brides-to-be were waiting in line to be the next one to try on a dress and twirl around in front of one of the many hundreds of mirrors. I was interested to notice the amount of brides that buy from these types of shows and therefore take advantage of the show's special discounted prices. But how do you find and pick the right dress for what will be the most exciting day of your life and enter into a world within which you have no previous experience? Even once you have decided the general style you are bombarded with questions regarding budget, material, length, colour, decoration and necklines. But it doesn't stop there; do you want a bag and accessories? You definitely need shoes, but do you match the shoes to the dress or the dress to the shoes? What about a veil? Are they out-dated? Apparently superstition says they are meant to ward off evil spirits, so tread carefully if you decide against one! However, whatever style decision the bride makes they never fail to be the most incredible beauty in my eyes, and through my camera lens, on the wedding day. With such emotional and financial investment in the bridal gown it is not surprising that I am getting increasing requests to photograph not just the ‘getting ready' images before the ceremony (which is a usual part of my package), but also for a dress rehearsal shoot a week or two prior. These occasions tend to be huge fun and allow the bride to trial hair and makeup too - the images are wonderful keepsakes and really help to fine-tune the ‘final look'. The dress has a lot of work to do, so make the right decision ladies. 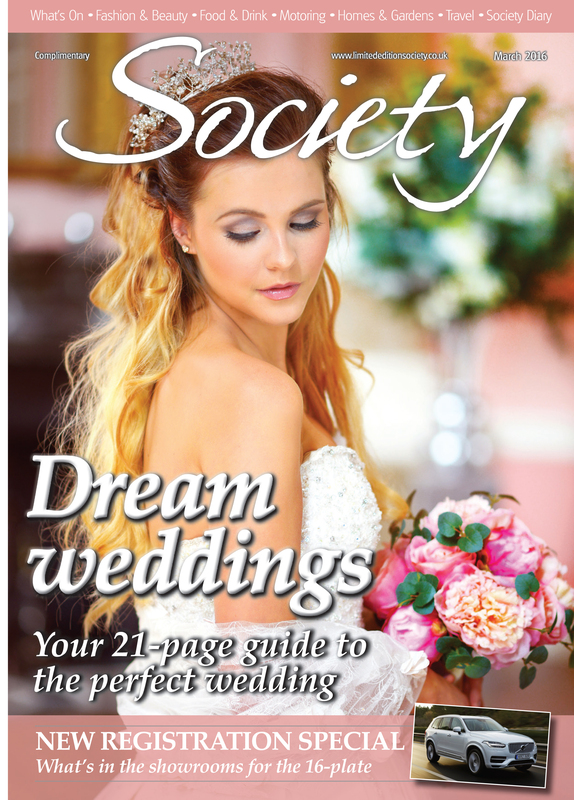 Tina is proud to have provided the front cover image for the prestigious Somerset Society magazine. This special March edition features a 21 page guide to a perfect wedding. You can see more about Tina on page four of this months publication including a reminder to enter the special competition to win an amazing engaged couples photo shoot! Let’s talk photography. More specifically, let’s talk wedding photography. I love the moment I get hired; it’s an emotional moment as the bride has just decided I am the one, along with her husband to be, to share in the big day. I get a front row seat to all the action and excitement. I get to build a relationship with the couple leading up to the day (which is optional) but it’s what I love about the job, I form long and lasting relationships. I get to understand what ideas are on their mind, and not everyone knows what style they are looking for, which gives me plenty of opportunity to get creative. From behind the camera I get a whole different perspective of the day. I am looking for the ‘golden nuggets’ of pure artistic brilliance, and when I get it, well, it’s what makes my role as a wedding photographer. Depending on what has been asked of me for the day, I always try to add in some little extra gems, and some of those are from the groom. When I am with the bride in the morning photographing her getting ready, I have my second photographer (part of my typical wedding package) to go to the wedding venue to capture the groom whilst he is waiting. There are some of the most amazing ‘golden nuggets’ that I speak about to capture there. The anticipation and nerves of the groom waiting for his bride makes for some fantastic pensive and thoughtful imagery… Powerful stuff eh? If you’re looking for a wedding photographer who is as passionate about the bride as well as the groom… I just might be what you’re looking for.